Importing goods into the UK or Import to UK involves different procedures and regulations and as such before making any shipments into the UK necessary considerations has to be made. It is required to have the commodity code of the importing goods to be found and checked in the list of commodity codes for especial characteristics and restrictions and licenses and duties, if required any. As per the regulations of the UK, any import to UK could be subject to VAT or excise duty. In any import to UK the Single Administrative Document, which is known as c88, is used for the declaration purposes. If there is application of import duties for the goods arrived in the UK, then the duties will be calculated basis the value of the importing goods as shown on the commercial invoice plus other CPT expenses including the insurance and transportation and freight. Following the calculation of import duties, then VAT is applicable at 20 per cent of the total value of the importing goods to the UK including the CPT and import duties. Import to UK might also be subject to an Import license, which is dependent on the type of goods to be imported, and once the commodity code has been checked then relevant licensing standards and information could be revealed. There are also certain circumstances when the import tariff is also applied for the importing goods to the UK. In order for the import procedure to start in the UK, an agent can submit the importing documents to the custom, and by further paying the import duties (if applicable) and the VAT, applies for the clearance of the goods from the custom and further arrange for delivery of the goods in hand of consignee. Importing goods to the UK, involves international transportation and custom clearance, which requires professional consideration of resources through an expert logistics provider. 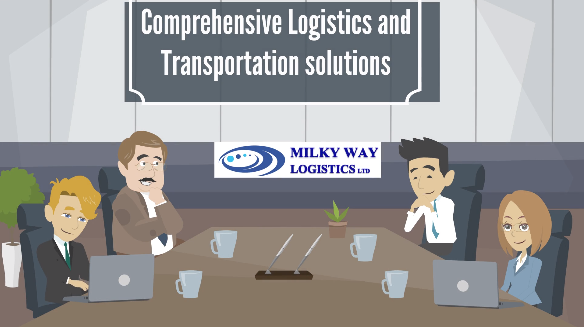 Milky Way Logistics Limited, provides first class logistics services for import to UK, and depending on the commercial term of corresponding contract with the suppliers of goods, can offer clearance and delivery and insurance services and with professional care, ensures compliance with regulations for all necessary procedure and paper works.